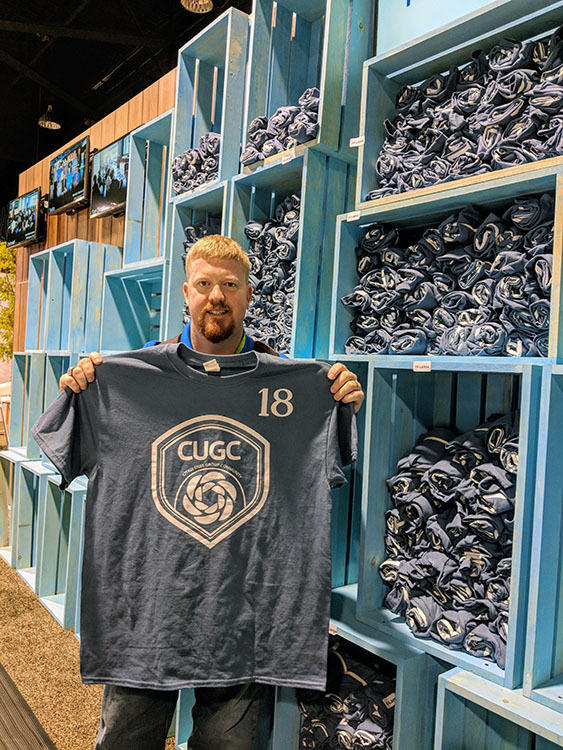 Design the Official 2019 CUGC T-Shirt! Want to live on in the history of CUGC? 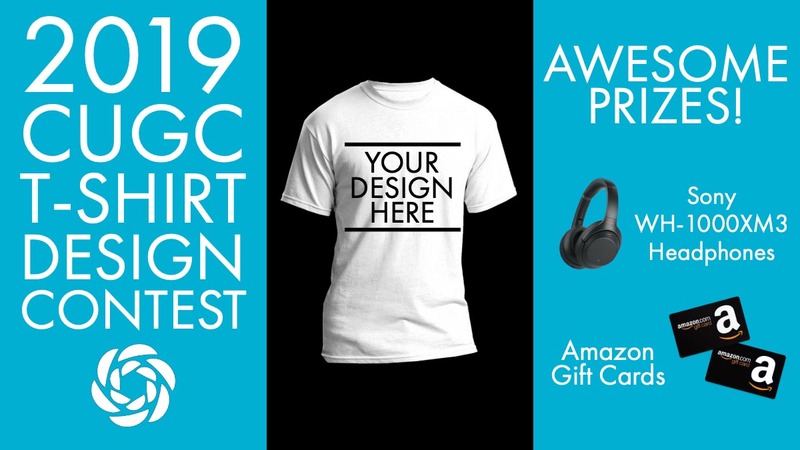 Submit your original design for the 3rd annual CUGC T-Shirt Design Contest and have a chance to win Sony WH-1000XM3 Headphones! We’ve had some great designs submitted over the past two years, and now it’s your chance to put your imagination to work visualizing CUGC. Not a graphic artist? Don’t worry. You can submit a design concept instead of final art. If you need some help with your design, collaborate with a fellow CUGC member or your local group and enter the contest together. What could entering the contest get you? The winner, along with the other finalists, will be heralded as stars on myCUGC.org and social media. The winning design will be featured on our official 2019 t-shirt, and the winning artist will receive Sony WH-1000XM3 Noise Cancelling Headphones. Second and third place entries will receive Amazon gift cards. How is the winner chosen? The CUGC Steering Committee and Synergy Working Group will review all of the entries and select three finalists. After that, all of CUGC will be invited to vote for the winner. Don't wait! Start creating your ideas now. The deadline for submissions is Thursday, February 28, 2019.